Yeah, I don't actually have a tattoo. I'm not sure if I'll ever get one. I'd like one, but I'm afraid I'll get over it too quickly. 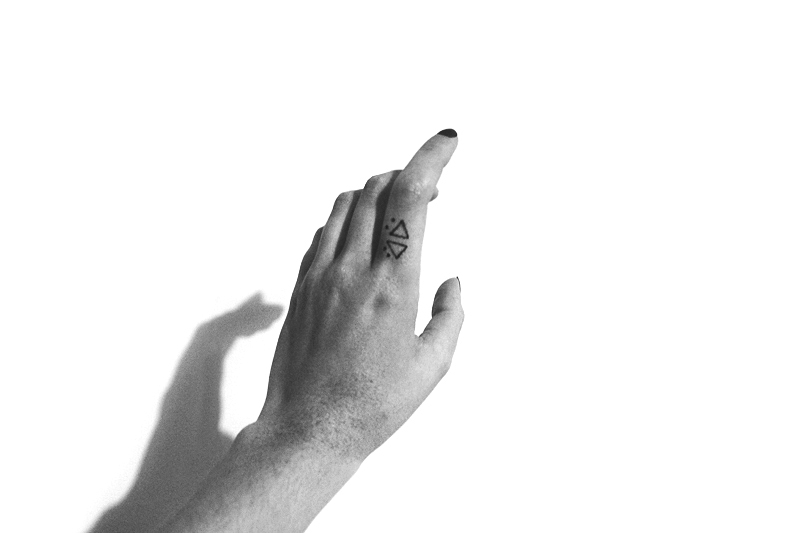 I was doodling on my hand for a photo shoot over the weekend and was thinking of potential designs that I like. I have always imagined any tattoo I get to be very small and an outline of a shape. It would be located somewhere that can easily be covered by clothes or jewellery and it will be in black ink.